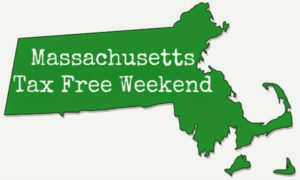 Massachusetts residents will not be getting the 2017 tax free holiday that they have had in prior years. Legislative leaders say there will be no Massachusetts Tax Free Holiday 2017 in the Bay State this summer. Legislators blame the state’s tenuous fiscal situation, which has prompted belt-tightening throughout the state government. “We were running short on the revenue estimate in the last several months in the last fiscal year and we predict that we’ll be at least $600 million short on revenues,” said State Representative Randy Hunt. Democratic leaders said after their meeting with Governor Charlie Baker that the state cannot afford to lose an estimated $26 million if the 6.25 percent sales tax is suspended for one weekend in August. “In order to get everything put together, in balance, we needed to make some changes right away and then obviously we have to watch those revenues month after month,” said Hunt. Massachusetts has held tax holidays in all but one year since 2004, but they’ve never been made permanent. The holidays are popular with shoppers and merchants who welcome increased traffic during an otherwise slow summer retail period. We will be looking towards the 2017 Mass Back to School season and keep you updated on our main Massachusetts page here.